England has been making commercial wine for some 50-60 years but the wine was a joke as most of them was thin and tart. However, this did not deter the Englishmen from trying. Because of the marginal climate, the pioneers focused on sparkling wine made in traditional method using Germanic varieties such as Reichensteiner, Kerner and Huxelrebe. In mid 1990s, English sparkling wine started winning awards in international wine competitions and that attracted serious producers in the names of Ridgeview and Nyetimber. They planted only champagne varieties - Chardonnay, Pinot Noir and Pinot Meunier to make sparkling wine that rivals Champagne. The success of Ridgeview and Nyetimber inspired further planting of sparkling wine vineyards in Southern England. The investors were not only retired hobbyists but big boys from the city, farmers who converted their farms to vineyards, and not to mention foreigners with deep pockets. Existing wineries also jumped on the bandwagon and replanted vineyards with champagne varieties. The result? England and Wales now has some 2,000 ha under vines, with over 60% being Chardonnay, Pinot Noir and Pinot Meunier from 500 vineyards. Wine is made in the 133 wineries scattered from Cornwall to Kent. 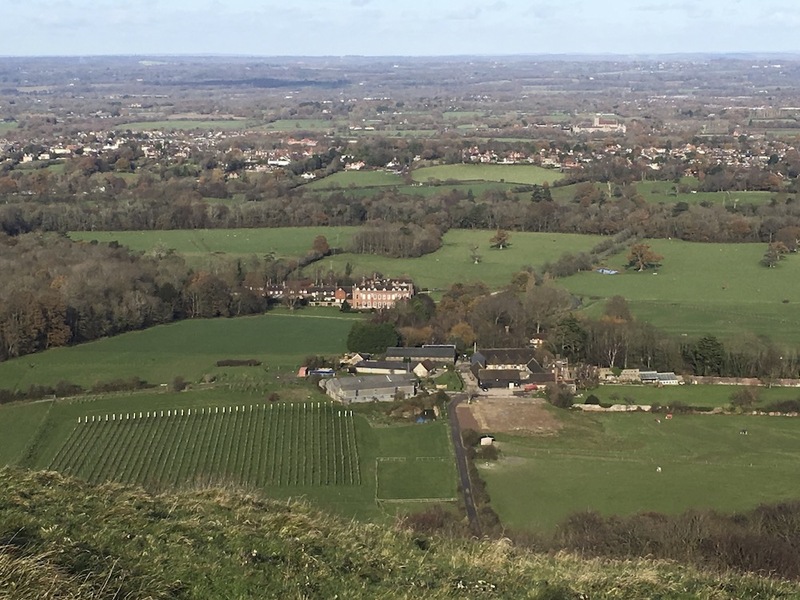 England was part of the continent millions of years ago and the geology of the South Downs limestone ridge is in fact an extension of the Champagne region just 88 miles away. Combined this with the coolest cool climate and appropriate grape varieties, England, at least in the south, has the ideal terroir to make excellent fizz. Having tasted wines from more than 20 wineries, I am convinced that given the right marketing platform, English sparkling wine will have its rightful place in the international market. The fact that Pommery and Tattinger are setting up base in England is a testimony that even the French cannot ignore English bubbles. 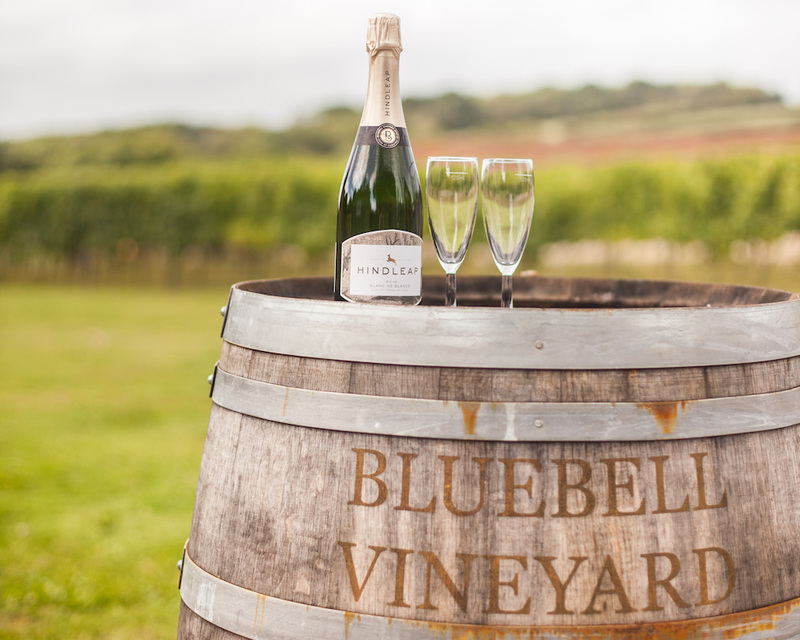 English wine producers seem to have a fondness of Blanc de Blancs and Rosé sparkling wine. Blanc de Blancs from most wineries are excellent with precise acidity complemented by apple and citrus fruits with nuances of brioche and toasts depending on the time on lees, which ranges from 24 months to over five years. Chardonnay adapts very well to the English weather and soil, producing wine with finesse and elegance. Most Rosé sparkling is vibrant yet delicate with summer red fruits, again with crisp acidity. Some wineries are also experimenting with Blanc de Noirs and Cuvée Noir (red sparkling wine). Malo-lactic fermentation, a process that converts the harsh green apple malic acid to softer, creamier lactic acid in wine, is not generally encouraged in order to maintain the steeliness, which some winemakers described it as ‘Englishness‘. Fizz aside, English still wine is also making a come back. Bacchus, a cross between Riesling x Silvaner and Müller-Thurgau, seems to find its home in England. It has the herbaceous notes of Sauvignon Blanc but not as pungent. The best I tasted was from Albourne Estate, a seven years old boutique winery. Probably because of sparkling wine, a few wineries are also making still Pinot Noir. 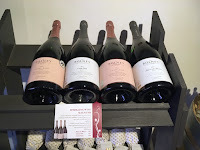 Bolney’s and Gusbourne’s are the most impressive. And watch out for English Pinot Gris. The body is similar to Pinot Grigio but it has the depth of Pinot Gris. But this is not where it ends. 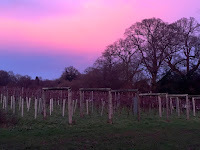 English wine industry does not have the rigid regulations of Old World therefore wineries have free hands to create what they think fit from their vineyards. Hattingley Valley makes Entice dessert ‘ice’ wine from frozen Bacchus grapes and Aqua Vitae distilled from the wine made from a parcel of Chardonnay that did not ripen sufficiently for sparkling wine. 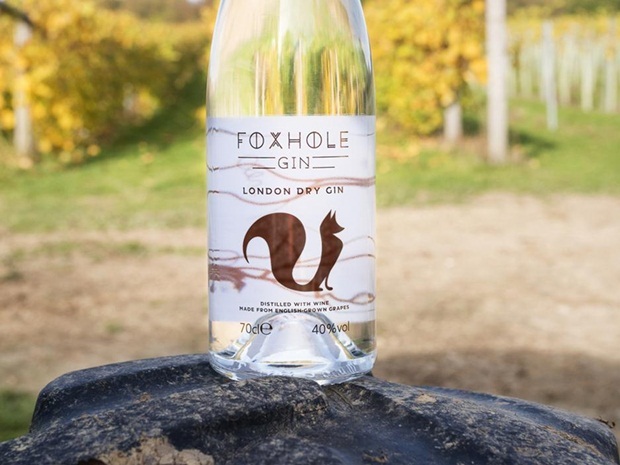 Gusbourne makes a Vermouth from Pinot juice while Bolney recycled the grape musts and pressings into a beautiful hand crafted Foxhole Gin. 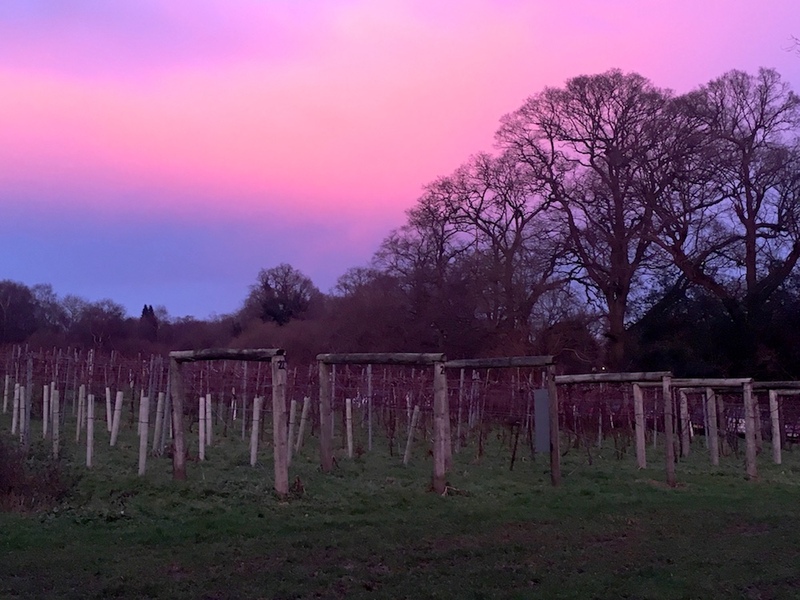 The industry owes its success partly to Plumpton College, the only institution in the UK that offers a hands on wine production course where students tend the vineyards and make their own wine. Most winemakers and viticulturists were trained or have taught in Plumpton. Needless to say, Plumpton also has its own wine made from students. Its winery grew from a simple facility in a shed 20 years ago to a state-of-the-art winery where students can do various researches and experiments. Despite the recent expansion, vineyard planting in the UK is only 6% of that in Champagne’s. The unpredictable yield (most wineries did not produce wine in 2012 at all because of disastrous weather), high labour and material costs mean that English sparkling wine will, at least for a while, remain an artisan product with a matching price (retail price between GBP25 and GBP75 for limited release). Having said that, the majority of the wine at the moment is being sold in Britain that may not be able to absorb all the future production. Wineries with vision realise this and they are looking at overseas markets in order to sustain the industry. Apparently, the US is the most promising because Americans just like everything English (think Meghan Markle and Prince Harry)! Asia, especially Hong Kong, is another market that wineries are pondering. For importers looking for a niche product to complement their portfolios, here are a few suggestions. All of them make award-winning wines and are committed to raise the bar of the English wine industry even further. 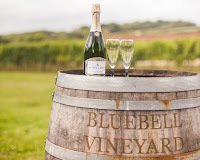 Bluebell Vineyard Estates: A pig farm turned vineyard owned by a Singaporean couple in East Sussex. Winemaker Kevin Sutherland experimented with part barrel fermented/ageing base wine for the Blanc de Blancs with impressive results. 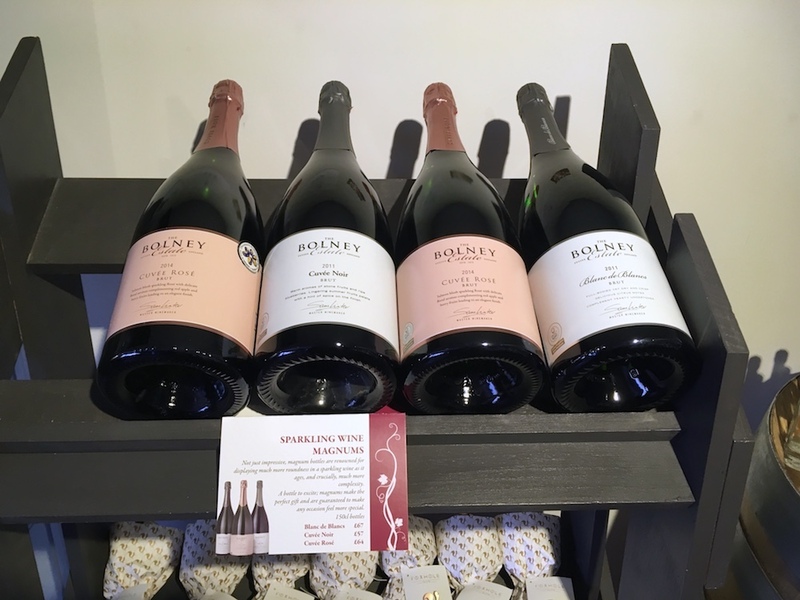 Bolney Wine Estate: Founded in 1972, Bolney is one of the oldest wine estates in England making a range of still and sparkling wines in all colours. The Pinot Gris and Pinot Noir are outstanding while Blanc de Blancs 2013 was served in British Airways First Class. They have outgrown their second winery built in 2006 and are planning a new one. 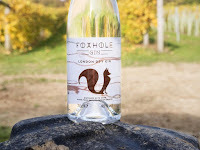 Sam Linter, the second generation and winemaker, has creative ideas in moving forward, such as the production of hand-crafted Foxhole Gin. Other ideas are in the pipeline. 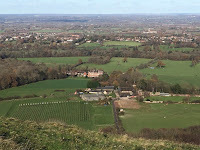 Chapel Down: The biggest winery in the UK producing just under 20% of English wine with a few out-of-the-box creations, such as the Chardonnay Albarino with a nice savoury palate, an Orange Bacchus fermented on skin and aged in barrels, and the just released grape based vodka and gin. Their wines are available at Victoria Wines in Hong Kong. Court Garden: A father and son team who diversified into vinegrowing from sheep farming in 2005 because of foot and mouth disease. Originally intended to sell grapes to other wineries, they decided to develop their own brand, making both sparkling and still wine. Gusbourne Estate: Owner Andrew Weeber, a retired South African surgeon, has big plan. They just built a new visitor centre and are planning to increase production. The flagship Blanc de Blancs has a minimum of 36 months on lees and the Pinot Noir is delicate with ripe red fruits and a hint of pepper. Their wines are available at BB&R in Hong Kong. Hattingley Valley Wines: Another farm (cereal crops) turned vineyard, and also a project of retired lawyer Simon Robinson, Hattingley Valley makes excellent sparkling wine in a fairly oxidative manner and with a high proportion of base wine fermented in old barrels, thus adding complexity and depth to the wine. Winemaker Emma Rice, who was voted UK Winemaker of the Year in both 2014 and 2016, is also making use of by-products to make experimental wine including Entice dessert wine and Aqua Vitae. There is also a brandy, currently in English oak barrels, waiting to be released. By the way, Emma was just voted England most influential woman in wine by The Drinks Business. Hush Heath Estate: Owner Richard Balfour-Lynn is dedicated to produce a world-class Rosé sparkling wine therefore for seven years (2004-2010), the estate only produced one wine – Balfour Rosé Brut. 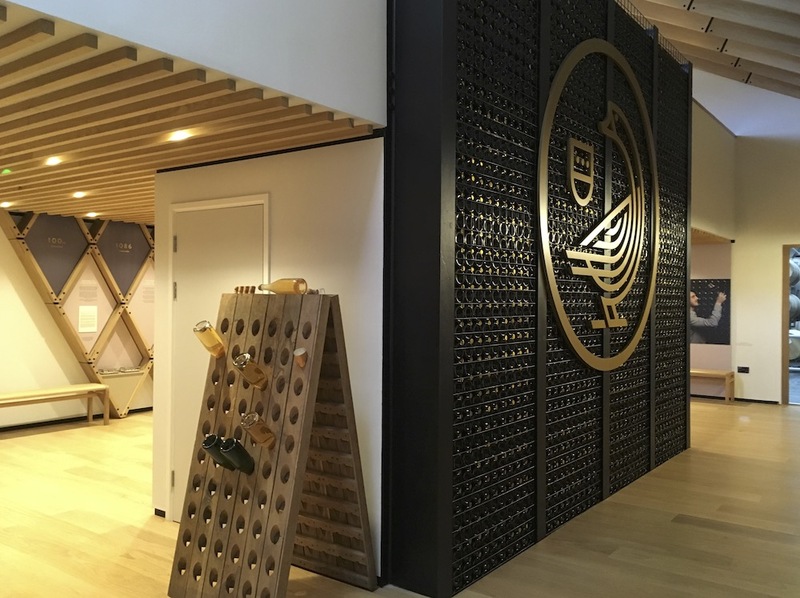 Now they are producing all kinds of sparkling wine, still wine and also a white and rosé apple cider where the secondary fermentation took place in bottle, just like their sparkling wine. When I was there, they were in the middle of expansion including new planting and a new winery. Available from Castello del Vino in Hong Kong. Ridgeview Wine Estate: Founded in 1995, Ridgeview was on of the pioneers dedicated to produce sparkling wine and is probably one of the most well-known English sparkling wine producers in the international arena. Also a favourite of the Royal Family, Ridgeview sparking wine had been served at state banquet to Barrack Obama and Xi Jinping, as well as the celebrations of the Queen’s 80th birthday and her Diamond Jubilee. Like other wineries with positive outlook, Ridgeview is planning more plantings and a new winery. Wiston Estate: The estate has been owned by the Goring family for more then 200 years but it was only until 2006 that vines were planted because of the passion of Pip Goring, wife of Harry Goring originated from Cape Town. Out of the 6 ha vineyard, they make Brut, Rosé, Blanc de Blancs and Blanc de Noirs in both non vintage and vintage style (8 wines in total). I only tried their Brut NV and it was gorgeous with depth and a nice marmite palate. 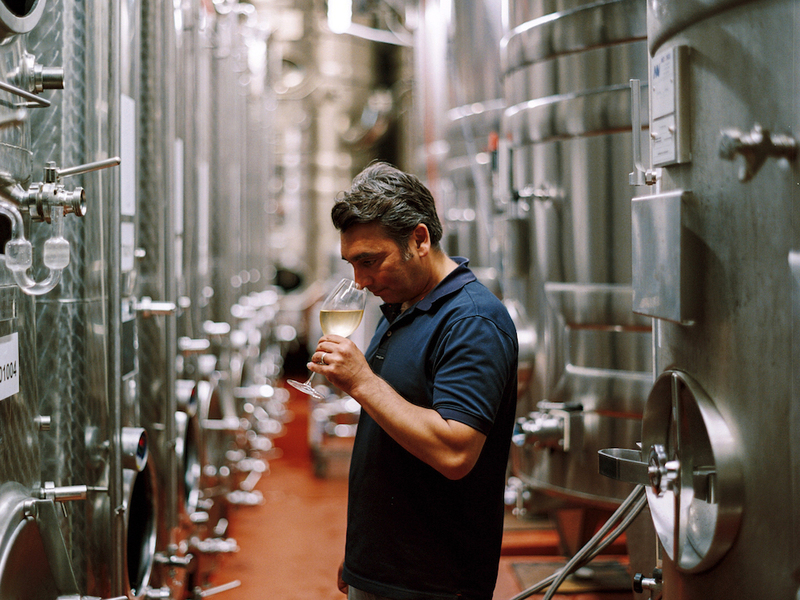 The winemaker is reputable Dermot Sugrue who also has his own brand Sugrue Pierre. By the way, there is a English wine and British gin tasting on 22nd March in Central (for trade only) where some of the wine mentioned above will be featured. Enquiry at events.hongkong@fco.gov.uk.